How to Change Blogger (Blogspot) Favicon? Favicon refers to the blog image which appears on the browser tab beside the Post/Blog title. By default, blogger use to show default blogger logo (in orange colour) as a favicon for all blogspot blogs. To give blog a more professional look probloggers use a custom image instead of that blogspot default logo. We can change it as per our need. Basically it could be our logo or anything we may like. Always keep in mind that the favicon should be a square image and must not exceed 100kb (try to use least size possible). So here we will learn how we can add/change favicon of our blogger blogspot blog. You need to create your favicon (square image) of your choice. Moreover, you can use favicon.cc to create your favicon. 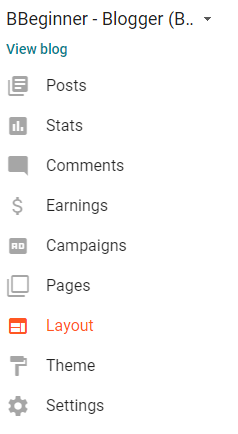 How To Remove Powered By Blogger - Attribution Widget? 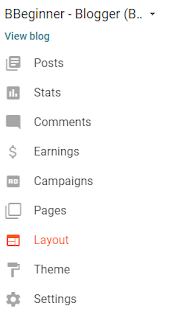 Login to your Blogger Dashboard and move to Layout Tab. You will see Favicon Tab there, click on Edit. After that, you have to choose file of your favicon image. You have successfully added a custom favicon to your blogger blog. It shows sometimes to appear on your blog due to your browser's cache. If you face any difficulty or have any other query, simply let me know in comments below.